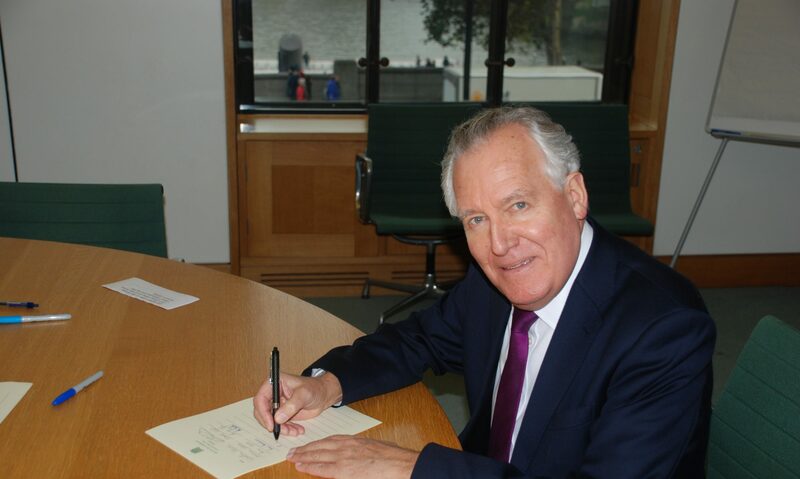 Mr. Peter Hain (Neath) (Lab): What was striking about the speech from the right hon. Member for Maidenhead (Mrs. May) was that it was devoid of any content on the policy alternative she might advocate. The policies advocated so effectively by my right hon. Friend the Secretary of State would be unaffordable and undeliverable if Conservative policy cuts were implemented. I shall explain why. The economy is contracting faster than the Treasury expected only five months ago, so the Chancellor was right in the Budget to give a further fiscal stimulus, expanding the one announced in November. It brought total fiscal support through discretionary action in the Budget, the pre-Budget report and the automatic stabilisers to 4 per cent. of GDP, on top of the other action to boost the flow of credit and cut interest rates. Goodness knows where the economy might be heading now if the Government had instead followed Conservative strictures, and had not acted promptly to adopt a Keynesian response to the crisis. The Budget also did the right thing by boosting public investment this year to £44 billion, compared with the £35 billion the Chancellor was planning to spend 12 months ago. These are exactly the right policies and priorities to stop a slide into slump, and exactly the right strategy to ensure that the recession is not deeper and longer. Conservatives seem to forget that the purpose of extra public borrowing is to make up for the collapse in private spending brought about by the global financial crisis. By helping families who are in danger of losing their homes and their livelihoods, and by helping firms that cannot spend because their banks will no longer lend, Government can stop economic casualties turning into social catastrophes. Without such Government action and borrowing, millions more jobs, and tens of thousands more businesses, would be in jeopardy. Borrowing is rising because of the impact on UK public finances of the world economic crisis, not the so-called public spending extravagance beloved of the leader of the Conservative party and his right wing media allies. The Institute for Fiscal Studies reckons that the global financial crisis is costing the Exchequer around £90 billion per year, owing to lost tax revenues and higher social security costs. The fiscal stimulus since last year’s Budget accounts for only about £26 billion of the nearly £400 billion increase in Government debt to 2012, or roughly one fifteenth of that total. No one here or elsewhere in the world foresaw the severity of the crisis currently gripping the global economy. Perhaps that is why, after 15 years of expanding UK employment, and Labour’s 11 years of unprecedented stability and growth, much of the media appears both bewitched and bewildered by the prospects for Government borrowing and national debt. In one surreal moment last week I heard the Chancellor on the BBC “Today” programme being asked by Evan Davis about Government borrowing for the Budget, not last week or even next year, but in 2014. Even more preposterous is media speculation about borrowing and debt in 25 years’ time, when the average Budget forecasting error is £12 billion for net public borrowing looking just one year ahead. Many commentators have become spellbound by long-term forecasts of public sector borrowing, and are quite unable to focus on the benefits that such borrowing brings, or to contemplate the truly horrendous alternative without it. Stephen Hammond (Wimbledon) (Con): I have been listening carefully to the hon. Gentleman’s arguments about forecasting errors. That implies that the Treasury’s forecasting is so bad that we should not take any notice of it. Mr. Hain: The hon. Gentleman will know that if he looks at Treasury forecasts under all Governments, there is always an element of error. The point that I was making is that the amount is much more significant than all the figures being flung about by the Conservatives and their media allies. Mr. Hain: Given that, like others, I am time-limited, I shall make some more progress. It was only a few years ago that Britain finally finished paying off its 1947 American loan that helped to pay for post-war reconstruction. It took us more than 50 years to do so. Does anyone seriously say that we should not have borrowed on a substantial scale to rebuild the nation’s social fabric shattered by the war? Perhaps there are some Conservatives and media commentators who sympathise with Johnny Speight’s character Alf Garnett, who criticised Winston Churchill for failing to get an estimate of the costs before fighting the second world war. As with mortgages for owner-occupied housing, good investments are things that are worth more than they cost to acquire at the time. Who can seriously argue that Governments who borrow to prevent a depression are making a bad investment, as the Conservatives appear to be saying? They have failed to learn the grim lesson of the 1930s that cutting Government spending during a recession only makes the economic situation worse, causing total spending in the economy to fall even further, resulting in more redundancies, higher social security spending and even higher Government borrowing and debt. Spending cuts in today’s circumstances would be a self-inflicted wound that would weaken, not strengthen, our ability to recover. They could turn business parks into gone-out-of-business parks and trading estates into ceased-trading estates. By contrast, we see higher public spending and increased Government borrowing to ward off recession as the right role of the state now. In our view, Government’s job is to provide a safety net in troubled times, support and opportunity for the good times, and security and protection at all times, not to leave people in the lurch to fend for themselves, which the Conservatives would do. Of course the economy needs to be brought back into balance in the future. But the overriding priority today is not Government debt. It is the danger of depression and rising unemployment. The bond market must take second place to the labour market. Dr. Ian Gibson (Norwich, North) (Lab): Will my right hon. Friend give way? Mr. Hain: Tackling the threat of slump, which means combining vigorous fiscal and monetary policy with unconventional measures to restore the flow of credit, is vital to recovery. But, of course, once we have warded off the threat of recession or depression there is no escaping our responsibility to bring the public finances back into shape in the medium term, as the Chancellor has made clear. That must mean reshaping the subsequent trajectory of Government spending and taxation, which means cuts in some past plans, deferring other ambitions and raising some taxes on a fair basis. But today’s problems must come first. The severity of the current threat to the world economy remains widely unacknowledged, despite the evidence of world trade falling faster than it did at the onset of the 1930s great depression, and despite industrial production plunging all over the world, including in the UK. There is reluctance on the Conservative Benches to admit that this recession is different from every other post-war recession, both in its origins and in its scale. [Hon. Members: “It is worse.”] Indeed, and it is much more serious because of the global financial crisis that the Conservatives refuse to acknowledge. There is a refusal to accept that we are passing through extraordinary times that demand an extraordinary response, with action on a scale unprecedented in the post-war period. It was Franklin Roosevelt’s new deal public works projects, combined with bank reforms and monetary measures, and not cuts, that first triggered the American turnaround that began in 1933, and then fuelled expansion over the next four years. I have been impressed by the advice given by that lone voice on the Bank of England Monetary Policy Committee, David Blanchflower. He was the first to warn of the danger of recession and the first to call for early interest rate cuts. He has proved consistently correct in his reading of the economy. His most recent warning is that, without strong fiscal action, precisely of the kind that the Chancellor announced last week, today’s downturn could fall further and last longer than any recent recession, causing UK unemployment to soar towards 4 million next year, potentially condemning a generation of Britain’s young workers to years on the dole. The Conservative party has an obligation to be straight with voters and with the House. The shadow Business Secretary can ooze warm reassurance with the best of them, but one has only to look at the shadow Chancellor to see that it is only a short way from guile to guilt. The Leader of the Opposition described the Government’s record as being written in red ink. When will he show us the colour of his party’s money? So far, all the public have been offered is counterfeit currency. The Conservatives have pledged to prioritise cutting Government debt ahead of tax cuts and to restrain Government spending, but the Opposition will not come clean about the huge cuts that would be needed if they were to achieve their ambitions. They have given headline-grabbing examples such as regional assembly abolition and senior public servant pay restraint, but those savings would barely register on the spending Richter scale. More ominously, they propose cutting tax credits for middle-income families and the pay of nurses and teachers. Those people are at the economy’s centre of gravity: squeeze them and we squeeze the whole economy, as well as damaging vital public services. Mr. Philip Hammond: I am listening carefully to the right hon. Gentleman. He knows that the figures that the Chancellor set out in his Budget last week, after taking into account the increases in benefits and debt service costs, equate to a minus 2.3 per cent. rate of growth in departmental expenditure budgets—a 2.3 per cent. real terms cut in departmental expenditure budgets. The right hon. Member for Neath (Mr. Hain) may have an inside track, however, so does he know where the Government will allocate those unprecedented cuts in departmental budgets? Mr. Hain: One thing that is absolutely clear is that if the hon. Gentleman ever got his hands on the Chief Secretary to the Treasury’s job, the cuts would be savage—way beyond the efficiency savings and restraint that will have to be implemented. The Tories talk a good fight on debt, but, on public spending, would they revert to Margaret Thatcher’s policy and abandon Labour’s pledge to restore the link between the basic state pension and earnings? Would they reduce the pension credit that helps the poorest pensioners? Would they raise the age at which people qualify for free prescriptions? Would they bring in charges for public services, such as visits to the doctor, or lift the ceiling on student fees in universities and colleges? Would they scrap teaching assistants in schools? On debt, if the Tories were to match their rhetoric with their actions, the cuts for low and middle-income Britain would have to be savage. The lobby group Reform has proposed a £30 billion cut in Government spending next year to give the Tories’ plans a flying start, and £30 billion, by the way, corresponds to 2 per cent. of GDP—exactly the amount by which the Tories cut Government borrowing in their 1981 Budget, which saw unemployment soar above 3 million and stay there for four years. So, perhaps it is not such a far-fetched figure if we want to divine the Tories’ true intentions. Let us look at Reform’s list: a 10 per cent. pay cut for all doctors and NHS managers, with £1 billion saved; scrapping winter fuel payments for pensioners and ending free TV licences for the over-75s, with another £3 billion saved; abolishing universal child benefit and targeting it on low-income families, saving £7 billion; and raising the interest rate on student loans to market rates, with another £1 billion saved. Pretty soon, we will be talking serious money, and the group has not even started scrapping pay deals for local government workers or cutting public sector pensions, as the Conservatives have promised. The media have given the Tories a really easy ride, so the Conservative leader will not say where they will cut public spending, and they will not come clean on taxes. So, let us look at their record in office for a few clues. The first Budget of Margaret Thatcher’s Administration saw Geoffrey Howe almost double VAT from 8 to 15 per cent. to pay for income tax cuts. The first Budget of John Major’s Government saw Norman Lamont raise VAT again, to 17.5 per cent. to pay for the poll tax. Can the shadow Chancellor deny that he is considering raising VAT to 20 per cent. if they win next time to cut Government debt and pay for the cuts in inheritance and income taxes that he has promised? Can he rule out dropping zero rating for food, fares and children’s clothing? The Tories have cultivated the image of “compassionate Conservatism”. We heard that phrase first from George Bush, and we know how destructive his policies were. At Davos, the Conservative leader promised “capitalism with a conscience”, but it would be with a guilty conscience. Two days before the Budget, a Financial Times editorial noted that tightening fiscal policy now might deepen the recession and worsen the subsequent fiscal outcome—what it termed “futile masochism”. Yet, what does the Leader of the Opposition want? He wants exactly such spending restraint. And when does he want it? Now. That is what he said in his reply to the Budget. By driving the economy into depression, the Cameron cuts would shrink tax revenues and swell social security bills. The outcome would be the opposite of what he has promised, meaning even higher Government borrowing, yet more national debt and mass misery for millions sacrificed on the altar of right-wing Tory dogma. Despite that, the media in general and, sadly, the BBC in particular have dutifully followed the Leader of the Opposition like lapdogs. They treat all Government borrowing as bad, irrespective of circumstances, and hardly bother to examine the terrible consequences for jobs and living standards of the Tory alternative. It is as if the whole economic debate were being filtered through a single, false prism of debt, and that is quite absurd. Yes, this Budget is a tough one, but it contains the seeds of hope. The Conservative alternative would not simply be tough, it would be disastrous, sowing the seeds of abject despair for millions and driving Britain backwards.